public utilities - Phillips Murrah P.C. 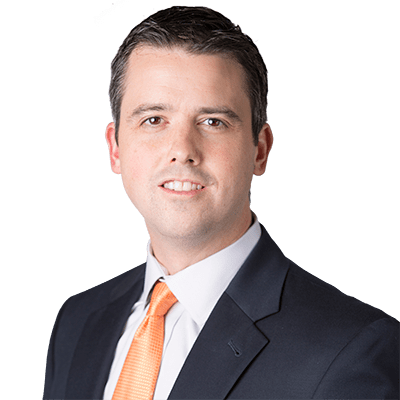 Eric Davis is an attorney in the Firm’s Clean Energy Practice Group and the Government Relations and Compliance Practice Group. He represents clients in a range of regulatory and energy matters. In this article, Oklahoma City Attorney C. Eric Davis discusses the process utility companies must go through to request rate increases and how different parties can participate. Q: Oklahoma’s two largest electric utilities have rate cases ongoing at the Corporation Commission. How does the rate case process work? A: In Oklahoma, investor-owned electric companies are “rate-regulated” by the Oklahoma Corporation Commission. Regulating the rates of investor-owned utilities is necessary based on their monopoly status, i.e., customers generally can’t choose among other competing utilities for the same service. As a result, companies like Oklahoma Gas and Electric Co. and Public Service of Oklahoma must seek approval from the three elected Corporation Commissioners before increasing rates. When a utility requests a rate increase, the resulting procedure is referred to as a “rate case.” A rate case is a formal, evidence-based, court-like process, open to the public. In a rate case, the commission determines the amount of revenue a company reasonably needs to operate, and then decides how best to allocate any increase (or decrease) among the company’s customers. This allocation process involves dividing customers into classes (such as residential, commercial, industrial, municipal, public schools), and even subclasses, and then, ideally, assigning rates across classes in an equitable manner. Q: What types of issues exist in OG&E’s and PSO’s current rate cases? A: Primary drivers in any rate case include the utility’s operational costs, costs associated with plant investments, and the utility’s right to earn a fair profit. On the generation side, national trends evidence a shift toward renewable and natural gas resources, and conflicts abound concerning how utilities should deal with their existing fleets, including coal plants. In its current rate case, OG&E has requested about $54 million annually to recover the cost of retrofitting its Sooner coal plant to reduce air pollution. Meanwhile, historically low load growth and other market trends are causing electric utilities to reconsider the manner in which they obtain rate increases from the commission. In PSO’s ongoing rate case, the company is proposing a “performance-based rate plan,” in which its earnings would be subject to more frequent, annual reviews, allowing for periodic rate adjustments. Such annual reviews, while occurring with more regularity, would be structured differently and allow for less in-depth analysis than a traditional rate case. However, PSO has proposed a backstop, stating it would file a full-blown rate case after three years. Q: Who may participate in rate cases? A: Anyone can take part in a rate case, whether by emailing public comment to the commission, or formally intervening as a party. Formal parties have the right to issue discovery, present witnesses, and cross-examine witnesses of other parties, including the utility’s witnesses. Common parties include the commission’s staff, the attorney general, large industrial customers, AARP, and the Department of Defense. Intervening parties may aim to influence utility policies, or ensure the utility’s costs are reasonable. Parties also may advocate on behalf of particular customer classes during the rate design process, ensuring costs are fairly apportioned among customers.